Tom Campbell began researching altered states of consciousness with Bob Monroe (Journeys Out Of The Body, Far Journeys, and The Ultimate Journey) at Monroe Laboratories in the early 1970s where he and a few others were instrumental in getting Monroe’s laboratory for the study of consciousness up and running. These early drug-free consciousness pioneers helped design experiments, developed the technology for creating specific altered states, and were the main subjects of study (guinea pigs) all at the same time. Campbell has been experimenting with, and exploring the subjective and objective mind ever since. For the past thirty years, Campbell has been focused on scientifically exploring the properties, boundaries, and abilities of consciousness. 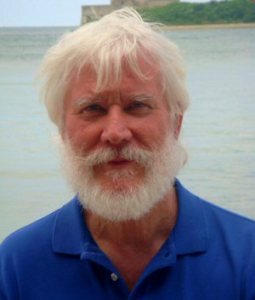 Tom is the “TC (physicist)” described in Bob Monroe’s second book Far Journeys and has been a serious explorer of the frontiers of reality, mind, consciousness, and psychic phenomena since the early 1970s. My Big TOE is a model of existence and reality that is based directly on Campbell’s scientific research and first hand experience. It represents the results and conclusions of thirty years of careful scientific exploration of the boundaries and contents of reality from both the physical and metaphysical viewpoints. The author has made every effort to approach his explorations without bias or preconceived notions. There is no belief system, dogma, creed, or unusual assumptions at the root of My Big TOE. By demanding high quality repeatable, empirical, evidential data to separate what’s real (exists independently and externally) from what’s imaginary or illusory; Campbell has scientifically derived this general model of reality.